Most of our work comes from recommendations and regular clients which speaks for itself. Of course we are always happy to hear from new enquiries. If you thinking of contacting us please read below what some of our satisfied customers have said about us. Josh has regularly trimmed my Yew Tree for the past 5 years, it always looks so neat thanks to his professional finish and the tree has become something of a landmark in our street! I have used Josh and his services regularly for many years in my half acre garden. He has carried out tree surgery and hedge cutting. He is extremely skilful, reliable and polite, working in various weather conditions. I am always impressed with the way he clears up after cutting; not a job I enjoy! JL Tree Care were great. They were skilled and professional and clearly knew their work inside out. The tree in question was in an awkward position but they were very diligent in making sure that the green house and other trees next to it weren’t damaged. They were quick without compromising safety and did a really good job of clearing up after they had finished. I would highly recommend them. Josh has done an excellent job for us. Our garden was rather overgrown. In a single day he removed 3 trees, including the stumps and pruned and shaped the 4 remaining trees, leaving everything neat and tidy. All this at a very reasonable cost and we would have no hesitation in recommending him. Josh has carried out work for Grove Place Retirement village for a number of years, I have always found his work to be excellent and of a very high standard. He always leaves the site completely clean and tidy, and is reliable and punctual. I would not hesitate to recommend J.L Tree Care. I would have no hesitation in recommending J.L Tree Care. I was very happy with the tree crown reduction and tree removal works undertaken and the garden was left in a very tidy state. A friendly service and professionally completed works. Thank you. 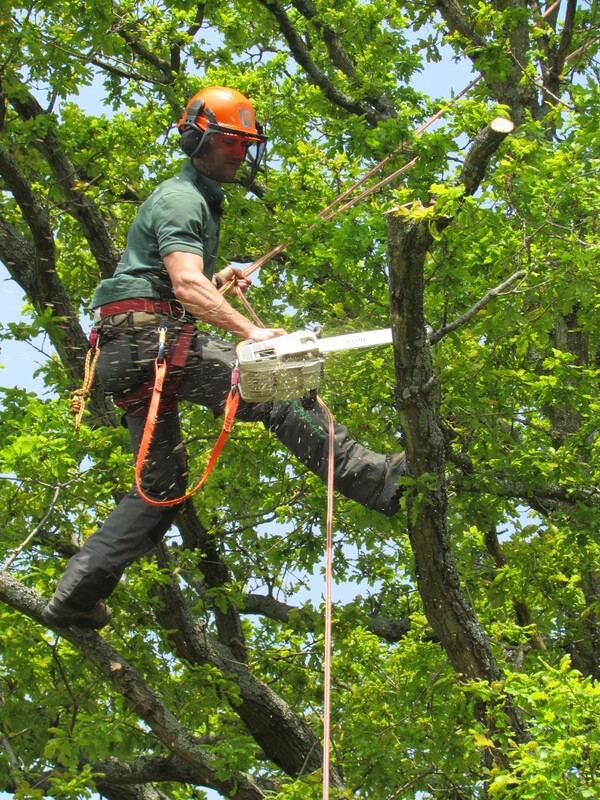 We have employed J.L Tree Care on three occasions for significant tree work, including felling, root grinding and pruning high fruit trees. On each and every occasion, the work has been done most efficiently and professionally. Josh and his team have always been friendly and polite, leaving the site thoroughly tidy. His knowledge of trees and their care appears to be comprehensive. I would recommend J.L Tree Care to anyone for a most satisfactory service (in fact I have done on three occasions already).